See them on the road in September & October on the West Coast / Southwest. 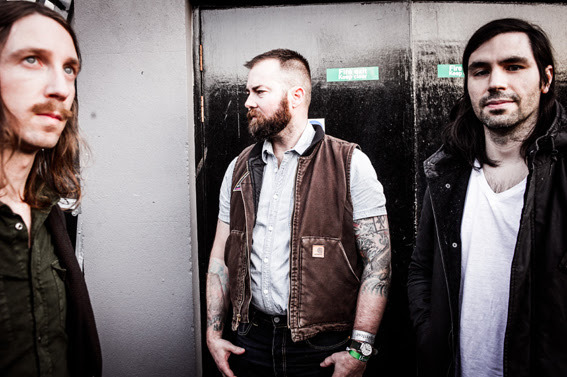 Clocking in over a decade together, Russian Circles have grown into one of most prolific groups in both the instrumental and rock realms. With a steamrolling catalog redefining the boundaries of both genre and instrumentation—from cinematic arias to metalloid-fueled bludgeoning—Russian Circles continue to find new sonic expanses to conquer. Whereas many bands in the instrumental world are content to cruise with the lush crescendos and washed-out timbres of their predecessors, Russian Circles persevere in their quest to conjure multidimensional, textural narratives. Last year, Russian Circles unleashed a riling live set packed with beloved fan favorites and deep cuts at Belgium’s Dunk! Fest (listen here) and now, the band has begun writing music that will become LP #7. More information to surface soon.